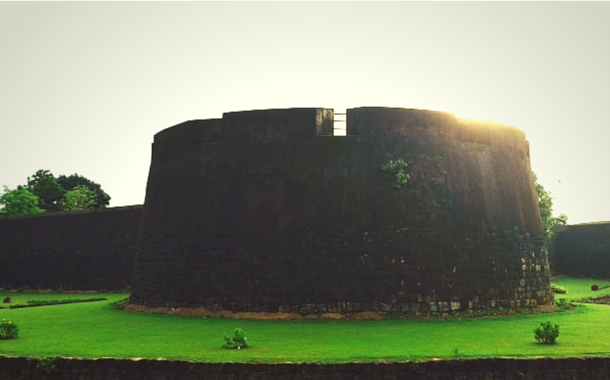 Built in 1766 ACE by Sultan Haider Ali of Mysore, the fort – named after Haider's son, Tipu Sultan – is one of the best preserved in Kerala. It sits in the heart of the town, reminding everyone of what Palakkad meant to its erstwhile ruler and to those who captured and lost it many times over. Mornings and evenings bring a crowd of fitness enthusiasts who walk or jog around the granite fort that holds a Hindu temple within. It is believed that several forts built during Haider's reign had carvings of the Hindu God Anjaneya or Hanuman, who was worshiped by warriors of that era. The Kote Anjaneya temple is located at the eastern entrance of the fort. The Tamil brahmins of Palakkad migrated to the state during the 14th century and continued to come in till the 18th century. They settled in different parts of the town within agraharams or villages that they built, some with over 100 homes strung together. Palakkad's Kalpathy agraharam is the first Brahmin village to be notified as a heritage site in the state and is famous for its Chariot Festival, which is held annually, for three days. The festival sees deities from various temples being mounted on chariots that roll through the streets to assemble at the main temple of Sree Vishwanathaswamy in Kalpathy. About 10 km from Palakkad lies Malampuzha Garden, which includes a dam and the famous Yakshi (female spirit) sculpture built by Kanayi Kunhiraman. A canal flows through the middle of the garden with bridges hanging over it. The ropeway gives one a great view of the garden, which is illuminated at nights, on weekends and public holidays. Palakkad is also a good place to shop for traditional Keralite garments or cottons and silks. The many street side shops here offer savouries such as deep-fried lentil vadas or hot banana chips fried in coconut oil. Renowned for its medicinal oils and massages, Kottakal Ayurveda has shops and branches operating in and around Palakkad. The high mountains surrounding the region make the monsoon beautiful but quite ferocious. Avoid the scorching summers too. The best time to visit Palakkad is December when the place experiences mild, cool weather. The nearest airport is in Coimbatore.